Working with leading designers including David Collins Design Studio and Kim Partridge Interiors, we produced a variety of customer light fittings for Adare Manor’s public spaces. The design intent for this historic building, whose roots go back to the 1720s, was to acknowledge its past and reinvigorate its spaces for the present and the future. The lighting was a fundamental part of achieving the desired ambience and combined traditional materials and designs with the latest LED technology and engineering to ensure it not only looks appropriate but also complements the building’s architecture. In the Tack Room, the lighting contributes strongly to making the former servants’ quarters a haven of welcome and warmth. 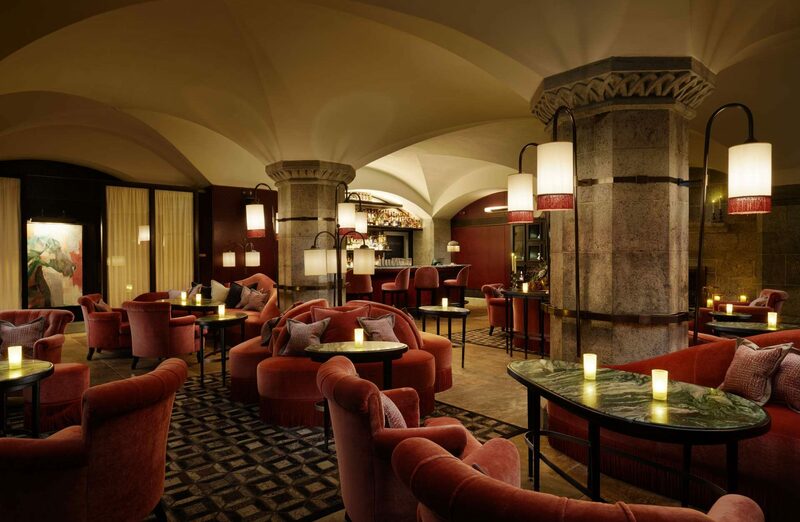 Wall lights feature opaque shades edged in warm reds to generate a cosy glow, with fixings designed and made by our team that secure the lighting in place, while having no impact on the stone columns which support the vaulted arches of the ceiling, in a design drawn from the 12th century. While in the Carriage House, the newly constructed restaurant is a smart and polished room, with nods to art deco chic. The lighting we made includes pendant lighting, bar lamps and over table lighting which create a warm glow and intimate mood throughout the room.